Yes Response has recently started working with a new client following a recommendation from a third party. The client is moving premises and wanted to send out a communication to all existing customers and suppliers to inform them of the change and update them with their new details. Yes Response managed the mailing on their behalf, printing and despatching all of the letters the same day. The client was extremely pleased with the service and pleased to have had the headache of this project taken away. Previous mailings of this kind had been completed in-house and required considerable resource to be diverted from other activities. This great efficiency, paired with the postage savings achieved by working with us has been a great start to a new relationship and talks are already underway about future projects. Royal Mail have recently announced that they will be adding a “Delivered by Royal Mail” slogan to all machine-sorted letters and parcels delivered within the UK. The reasons that are being given for the addition of this new mark are that it will be clearer for recipients receiving items at the wrong address to know who to contact about the problem. Others suggest that the mark is simply a means of free advertising for Royal Mail. The Direct Marketing Association has asked what right Royal Mail has to stamp a marketing message onto property that does belong to them. 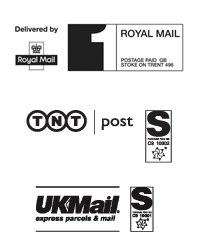 And of course it must be noted that although at present Royal Mail delivers 100% of the post, whomever processes it, trials are underway by TNT in London to deliver their own processing and delivery service. At Yes Response, we believe that the various indicia used by the different providers already make it clear who has processed the items and therefore who to contact. So could it be that Royal Mail is trying to market themselves to householders with this message telling them who delivered their mail? Following the annual conference of the Communication Workers Union, the group has decided to restart the “Keep the Post Public” campaign which was initially run in 2010 and 2011 before Parliament passed the Postal Services Act which essentially laid down the framework for privatising Royal Mail. Huge debate is still going on as to whether privatisation is the right move for the postal service. The Government coalition passed the enabling legislation last summer to allow the sale of Royal Mail in an effort to modernise the UK’s service provider as mail volumes decrease. At Yes Response, we support the “Keep the Post Public” campaign and don’t wish to see privatisation of Royal Mail. There may be criticisms of the service provided, but overall it is important to remember the great cost-effectiveness of sending items across the country using our postal service. Deregulation often results not in the intended competitiveness and increased service offerings, but rather in a much poorer service for customers – we need only to look at the utilities companies to see this. At the same time, however, Royal Mail does need to become more commercial and ensure that they are not only doing what they need to in order to be profitable and enable ongoing investment, but are focusing on their customers and responding to the industry’s needs. Of course, with the ever-increasing popularity of online shopping, e-commerce companies continue to grow and expand, and of course an efficient postal service is key to their success.